Admittedly, I’ve had very little success in my own streaming career, but you’re probably more talented than me right? Regardless, let’s run down all of the things you’ll need to be the next... uhh... XQC? Ninja? PewDiePie? Are they still popular? Any broadcasting professional will tell you that the quality of the audio is more important than video. Viewers will sooner flee a broadcast due to poor audio than even the shakiest of video feeds. Cloverfield and other shaky-cam movies would not have worked if the sound design was as jarring and awful as the video. With that in mind, the built-in microphone on your laptop or the one on your gaming headset just won’t do. These components are often where manufacturers cut corners, so you’ll need a dedicated microphone. For my setup, I chose the Blue Yeticaster. 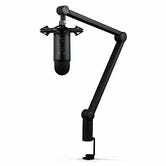 Not only is the Yeti one of the standards in audio recording, but this particular model also has a shock mount and boom arm that perfectly compliments the microphone. 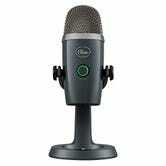 Of course, you can buy microphones, like the Razer Seriren X and the Blue Condenser microphone, sans the boom arm for less cash. 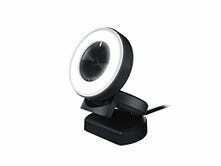 Rounding out the AV accessories you’ll need is the webcam. In brightly lit environments, any webcam will do. But for any camera to work properly, light is key. I know it seems obvious, but our eyes are so advanced that we can be tricked into thinking a room has adequate levels of light even if it doesn’t. 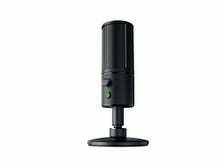 The Razer Kiyo packs an adjustable ring light to properly light your face during your stream. The footage from the webcam is definitely secondary to gameplay footage. 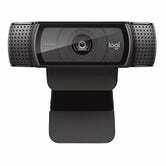 If your room has plenty of lighting, a standard webcam without the ring light, like the Logitech HD Pro, will work. There’s a lot of debate online about whether stream cards are necessary. But in my experience at least, streaming demanding games on the power of my graphics card and CPU alone just doesn’t pass muster, even after “optimizing” my settings. Everyone who followed me on Twitch saw a significant improvement the quality of the stream after I began using my capture card. 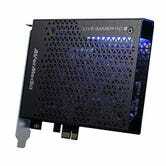 There are two main types of streaming cards, internal and external. 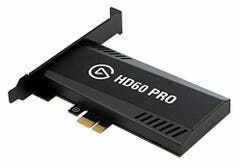 Internal capture cards, like the AVerMedia Live Gamer HD2 and the Elgato Game Capture HD60 Pro, can be installed inside desktop PCs, while external ones like the AVerMedia GL310 work with consoles and laptops. When you’re streaming, you’re both the host and the control room. 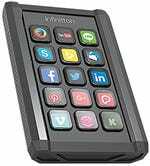 During the broadcast, you’ll have to juggle multiple stream settings while you’re in the middle of a game, and a controller like the Elgato Stream Deck or the Infinitton Smart Programmable Keypad can help you manage. 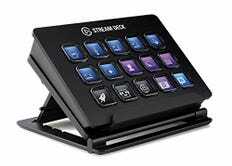 The Stream Deck connects to a number of streaming programs like Elgato’s Game Capture and Open Broadcaster Software, or OBS. And you can customize the buttons to accomplish specific tasks, such as starting your stream, pausing your webcam, and tweeting out a link to your livestream. It should go without saying, but I’ll say it anyway: Proper streaming equipment is expensive. And there’s no guarantee (or even a reasonable chance, for that matter) that you’ll make your money back as a paid streamer. Every successful streamer I’ve spoken to said the same thing—don’t go into streaming to make money. It’s rare that people can actually make a living doing this. 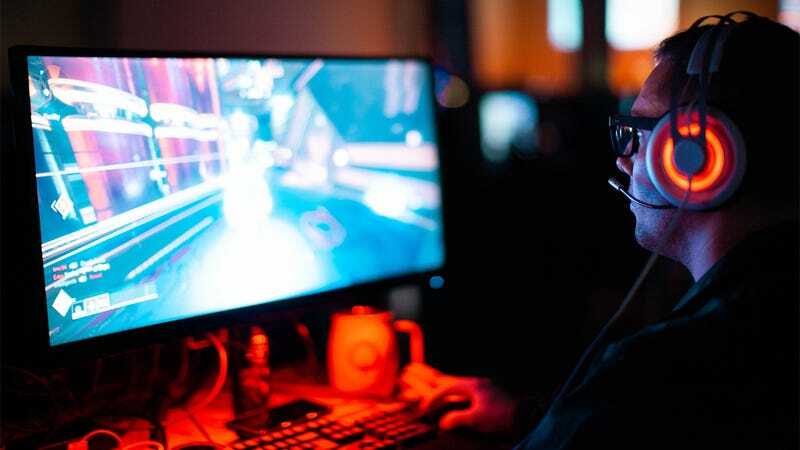 And even if you go into it “for the love of playing games,” it’s not always easy. For the most part, it’ll feel like you’re talking to yourself... because you are. Look at it this way, regardless of whether or not you become a streaming sensation, most of the gadgets listed here are upgrades to gear you use in every day life, so it’s a no-lose situation.